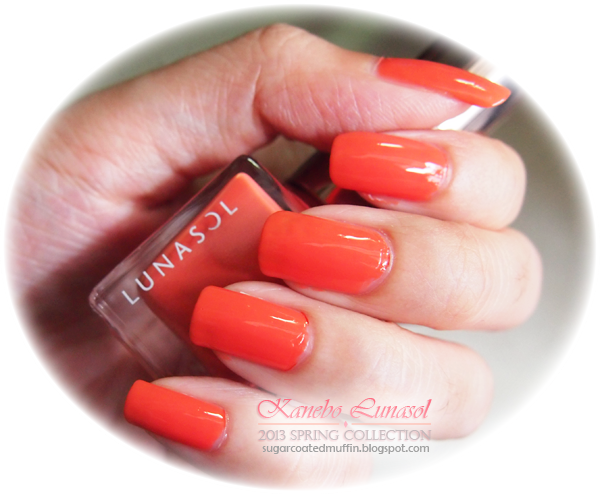 Thanks to Nuffnang & Kanebo, I got to witness the beautiful colours of Spring with Kanebo Lunasol. I know Malaysia doesn't have four seasons but imagine a plain white land that's dull and barren. When Spring arrives, flowers of all colours start blooming out of the ground. 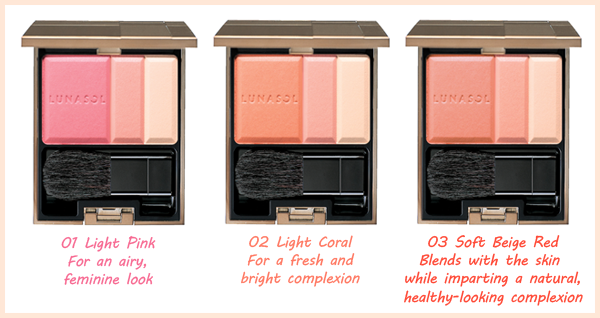 By applying Lunasol's Vivid Colour Purification, you are doing the same; adding a pop of colour to your eyes, cheeks and lips. The vibrant colours will immediately brighten any mood. 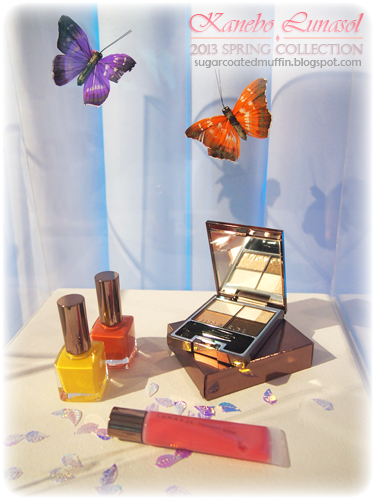 Just looking at the products and all the colours make me happy! 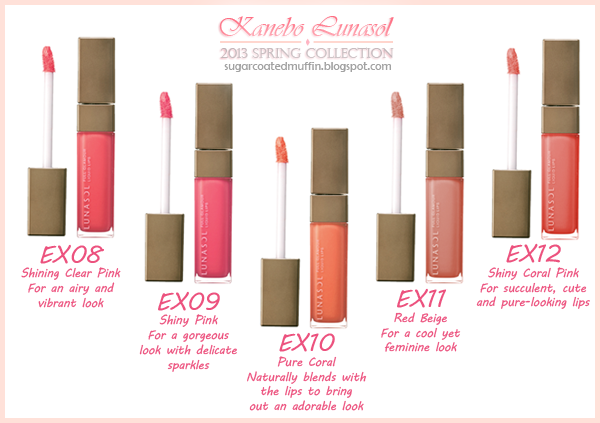 The lip products here all have beauty essence to keep your lips moisturized. Get the colour intensity of a lipstick with the shine of a gloss! Just my kinda thing. Comes in 5 natural-looking shades, nothing too striking. 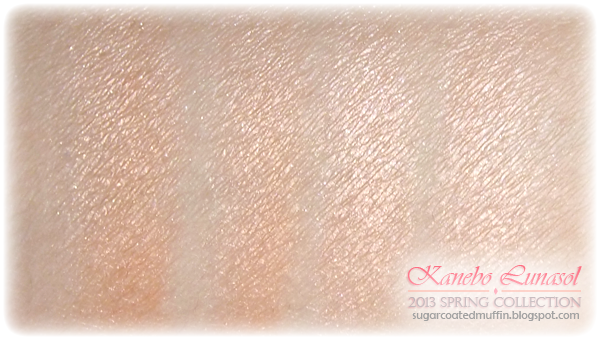 Swatches of the Full Glamour Lips in the above order. Sorry for the terrible lighting! You can already see from the swatch that they're really moisturizing lipsticks. 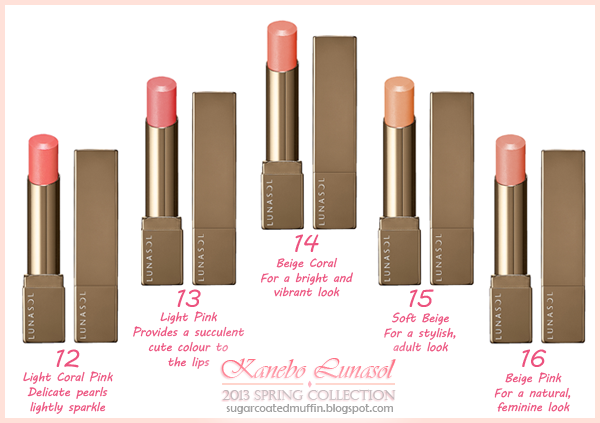 Treat your lips while adding a hint of colour and gloss at the same time! With Water Keeping Complex and five botanical moisturizing ingredients, it hydrates and gets rid of lip lines leaving behind plump, succulent lips. 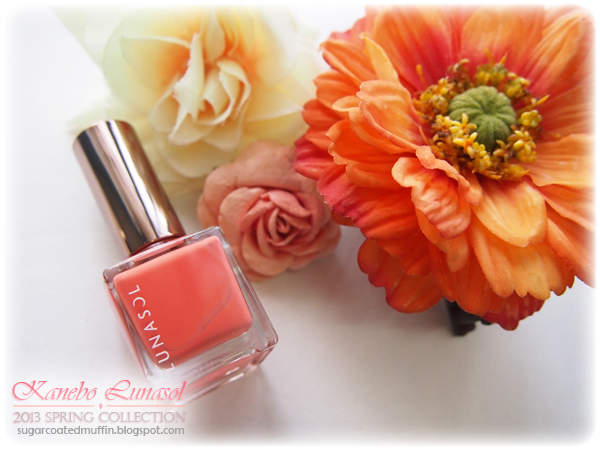 Lovely nail colours that compliment the Vivid Colour Purification makeup. All the colours look so pretty!! They are really easy to apply and dry quickly. 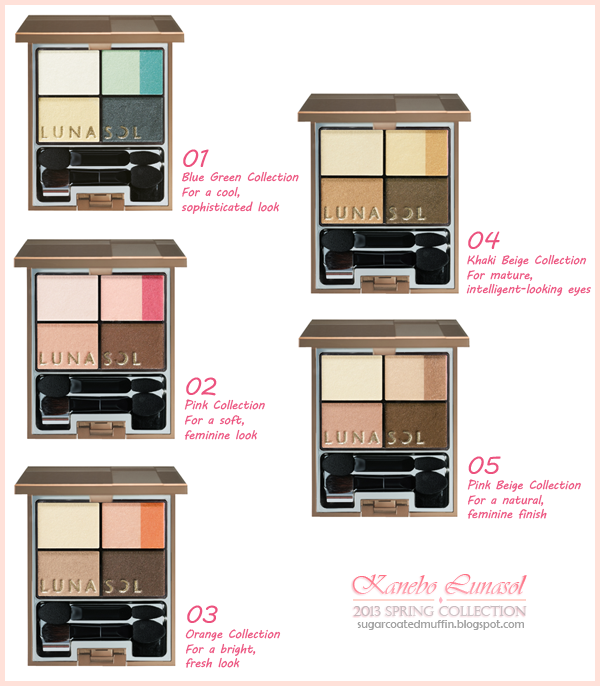 Palette consists of four colours with 2 colours (Vivid and Sheer) in the main colour, giving you the flexibility to adjust the outcome by blending both together or using one only. 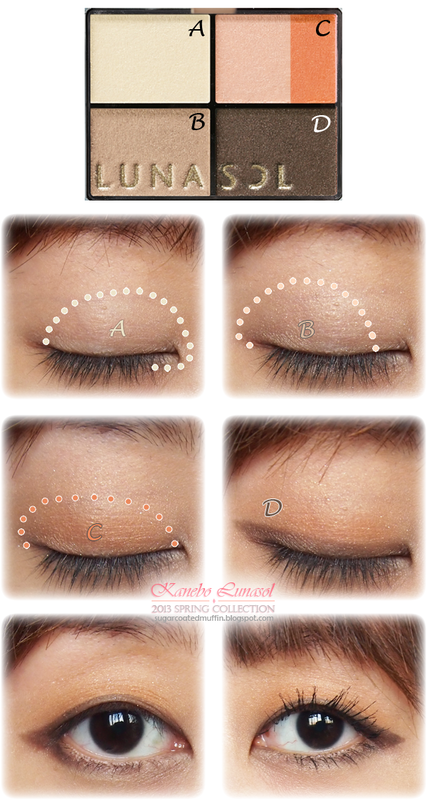 Eyebrow powder that comes with 4 colours for even beginners to easily create natural-looking eyebrows. Available in GB03 Grayish Brown (yellowish) and BR03 Natural Brown (neutral-reddish). Mascara that provides volume while curling your lashes. It coats every single lash and separates them so they don't clump together. Barely smudges with perspiration and sebum but is easily removable with only warm water! Contains treatment ingredients. Containing 3 colours, it gives you the power to combine them as you wish to achieve different results based on your mood. Natural healthy-looking cheeks are just a brush away! 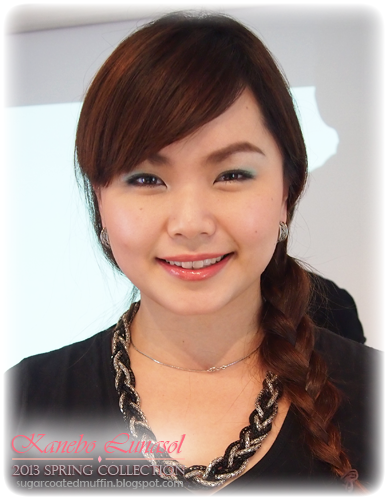 Phoebe looking gorgeous after Mr Bong gave her a Kanebo Lunasol makeover using the Blue Green Collection. First up would be makeup base. Fills visible pores and uneven surfaces, absorbs perspiration and sebum, blocks UV rays & contains beauty essence ingredients. 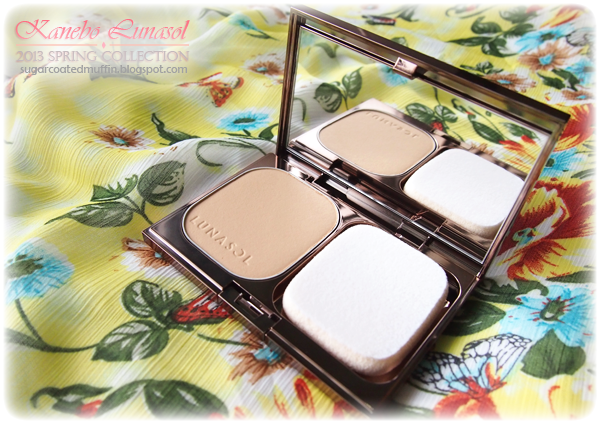 This makeup base applies smoothly and disappears into skin without leaving any greasy or heavy feeling. After base, you can apply foundation. 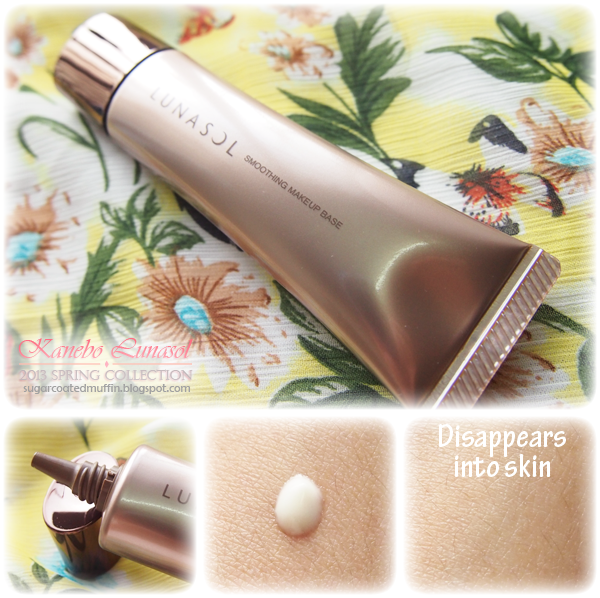 Composed of about 60% water and containing skincare ingredients, it gives skin a radiant and moistful look. Skin appears to glow from within hiding visible pores and uneven surfaces. Lemme just tell you that the sponge is soooo soft! If yours is dirty, you can get a new one for RM 18. Foundation applies very naturally, and gives my skin a beautiful radiance while covering imperfections and evening out my skintone. It also manages to reduce the appearance of my pores. Skin is matte with a glow. 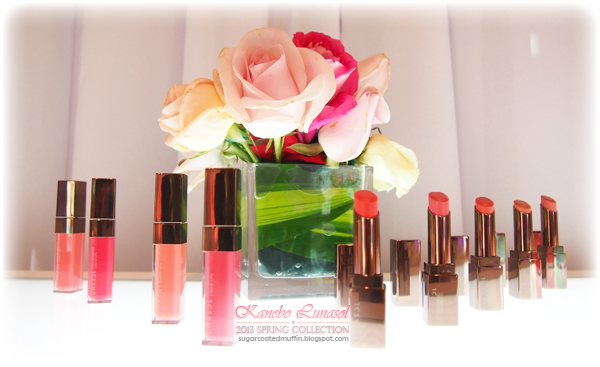 The 2013 Spring Collection comes in sets of complimenting colours (eyeshadow, lipstick, gloss & nail polish). The Blue Green Collection was my initial choice but unfortunately, it was so popular they were out of stock! 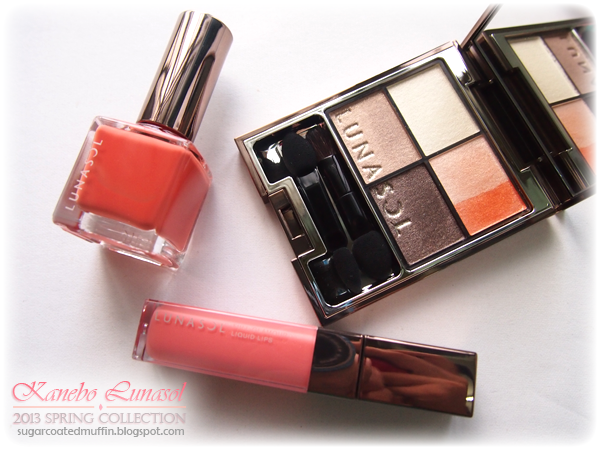 So I chose Orange Collection instead (minus the lippie). So pretty! 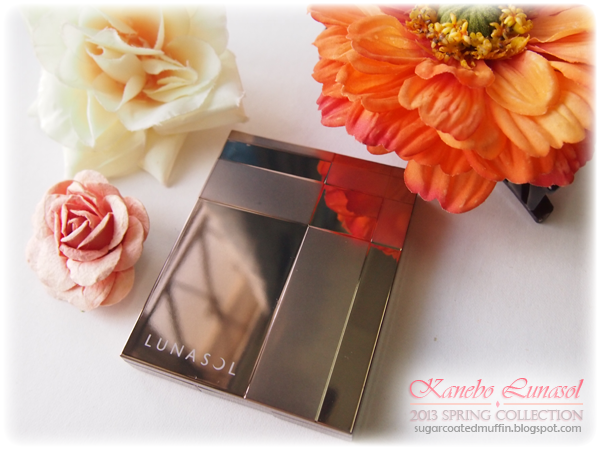 Love the gold Lunasol wording. 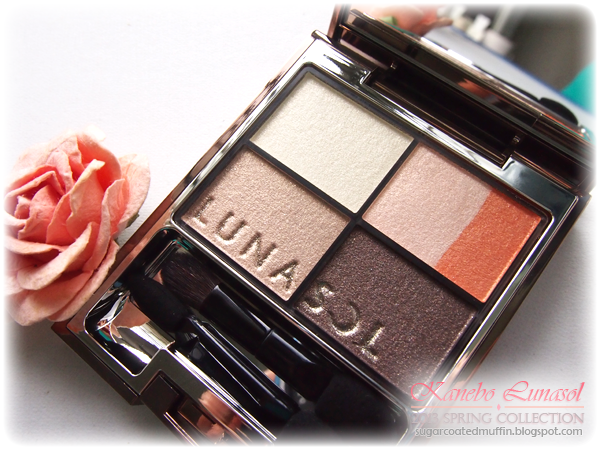 The Vivid Clear Eyes eyeshadow goes on really smoothly and the colours blend beautifully. By mixing the two main colours, you get different variations of orange. 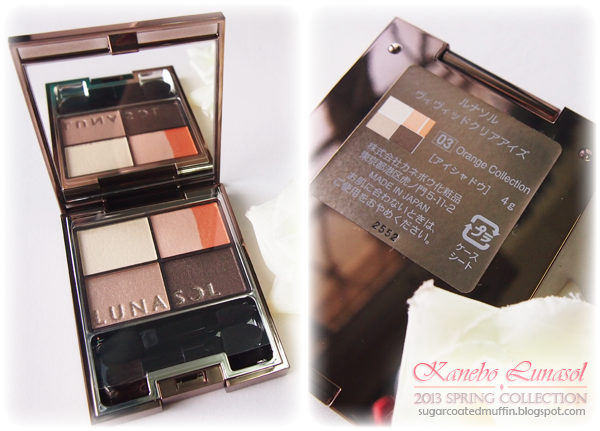 I've shown the way to wear this palette below. The darkest colour is pigmented enough to be used as an eyeliner! 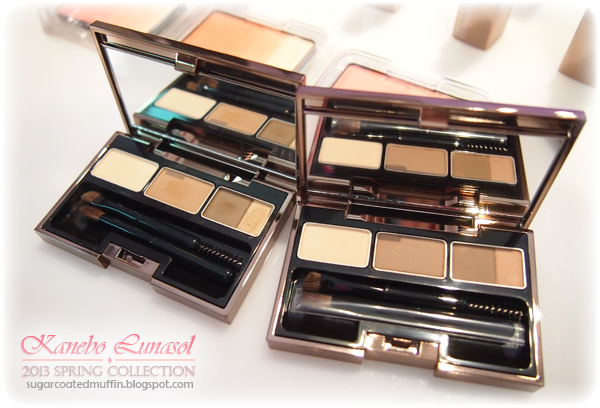 Make sure you apply primer to ensure your eyeshadow adheres well and lasts long. 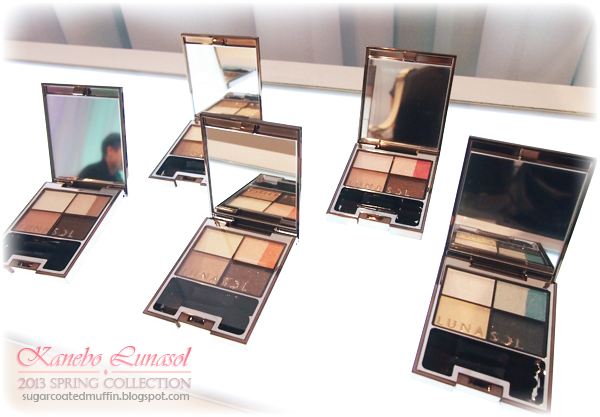 Play around with the colours and find a method that compliments your eye shape the best. Don't forget the mascara! Don't forget about your eyebrows! If you have lighter coloured hair, go over your brows with an eyebrow mascara to lighten them after filling in. You will be amazed with the results! Next, I added some colour to my lips with the Full Glamour Liquid Lips in EX10 Pure Coral. 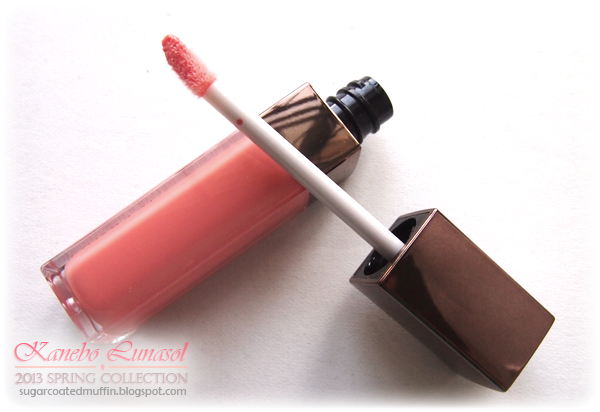 Small doe foot applicator - easy to apply even on small lips. 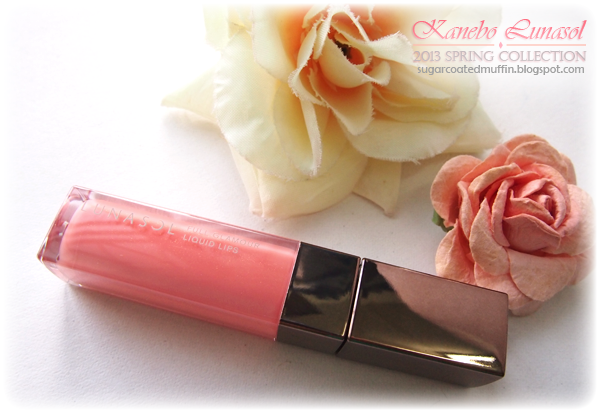 Love the fine shimmer and colour this gloss gives! It appears more pinkish on my lips but the gloss itself is more orangey. 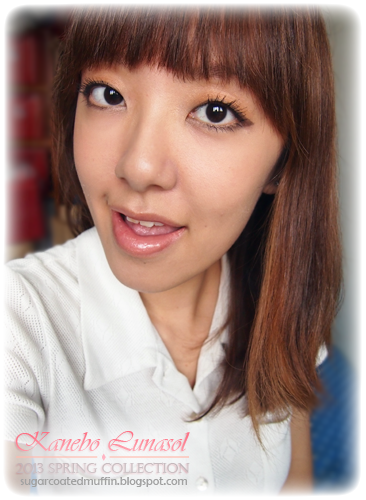 It also smoothened my lip lines, giving me kissable pink lips. You can choose to contour your face if needed or apply matching nail polish! I think the Vivid Orange colour is rather unique, kinda like a milky orange. They dry really quickly too. Love the makeup that adds a pop of colour on my pale face while keeping it subtle! The foundation is a real keeper too. Want to try them out? Here's your chance! Click HERE to download voucher! 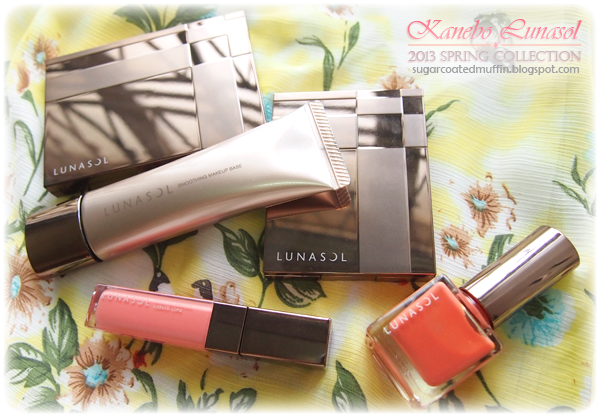 All those cosmetics look so beautiful, May i know is the voucher applicable for all Malaysia's Kanebo store?